Neil Francis Tennant was born on July 10, 1954. As a child, Neil attended St. Cuthbert's Grammar School, an all-boys' Catholic school in Newcastle-Upon-Tyne. (Sting went to the same school.) Neil's songs "This Must Be The Place I Waited Years To Leave" and "It's A Sin" refer to his early life in Catholic school and the strict Catholic upbringing there. "It's A Sin" caused controversy with its implicit criticism of Catholic education. Whilst at school Neil played guitar and cello. At the age of 16, he played in a group called Dust, whose most popular song was a called "Can You Hear The Dawn Break?". They were heavily influenced by The Incredible String Band. In 1975, having completed a degree in history at North London Polytechnic, Neil worked briefly as an editor for the UK branch of Marvel Comics. He was responsible for anglicizing the dialogue of Marvel's catalogue to suit British readers, and for indicating where women needed to be redrawn more decently for the British editions. In 1977, he moved to Macdonald Educational Publishing and, later, ITV Books. In 1982 he joined the British teen pop magazine Smash Hits, where he rose to Assistant Editor. At Smash Hits, an opportunity arose for him to go to New York to interview The Police. Whilst there, Tennant arranged to meet Bobby Orlando, a producer who both he and Lowe admired. Tennant mentioned that he was writing songs in his spare time and Orlando agreed to record some tracks with him and Lowe at a later date. 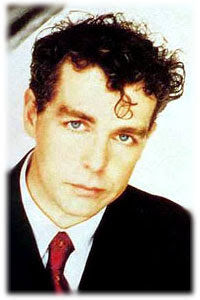 Orlando subsequently produced the Pet Shop Boys' first single "West End Girls". Although Tennant avoided the issue of homosexuality in the 1980s, preferring his lyrics to be androgynous, shortly after the release of 1993's Very he publicly "came out" in Attitude, a UK gay lifestyle magazine. According to the musician Tom Stephan aka Superchumbo, they had a two-year romantic relationship. As of 2006 Tennant and Lowe are still going strong as Pet Shop Boys. Neil has a hi-tech, state of the art recording studio in his home in Durham and many songs from 2002's Release album were recorded there. Tennant is also known for his support of modern art, and was a judge for the 1998 Turner Prize as a representative of the Patrons of New Art. According to Rufus Wainwright's official website Tennant is to be the executive producer for Wainwright's next album Release The Stars, due to be released in May 2007. Wainwright made a special appearance during a live show of Tennant's.